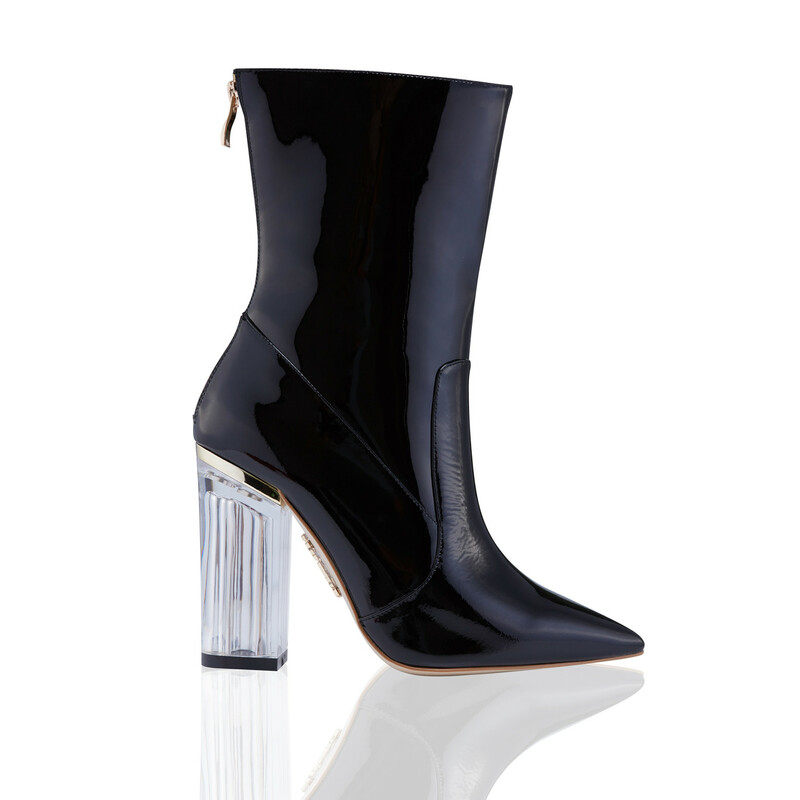 These striking boots feature lucite block heels that would turn heads. Made from vegan PU leather, the 'VISION' is comfortable to walk in as well as being super stylish. Zip ups on the back for easy on. We love these boots teamed with a shorter skirt. 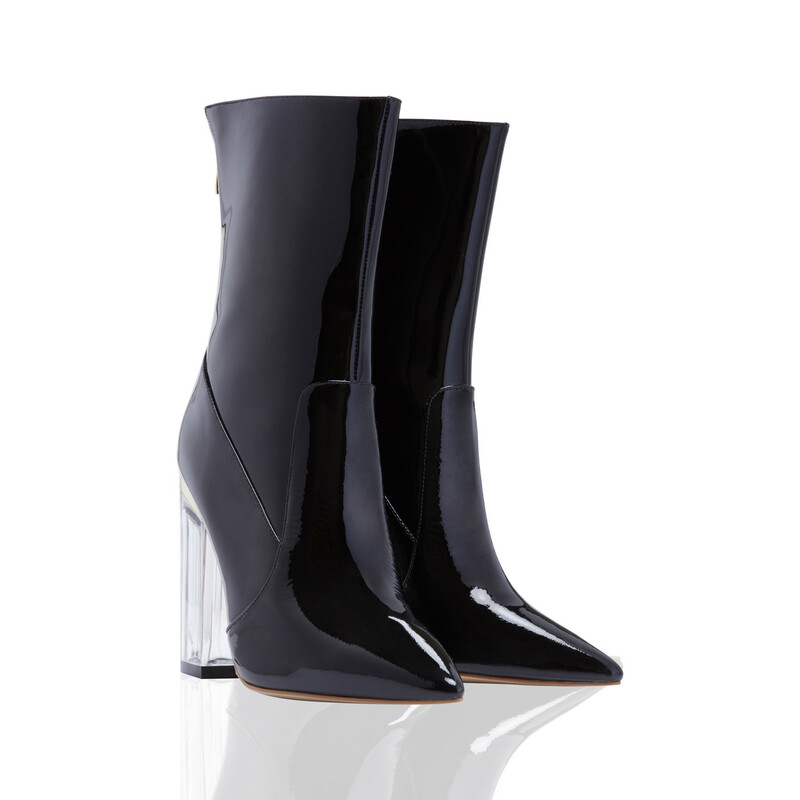 Made from vegan patent leather.